The Mr. Cover All team was hard at work today helping our customers maximize the enjoyment of their outdoor living space. 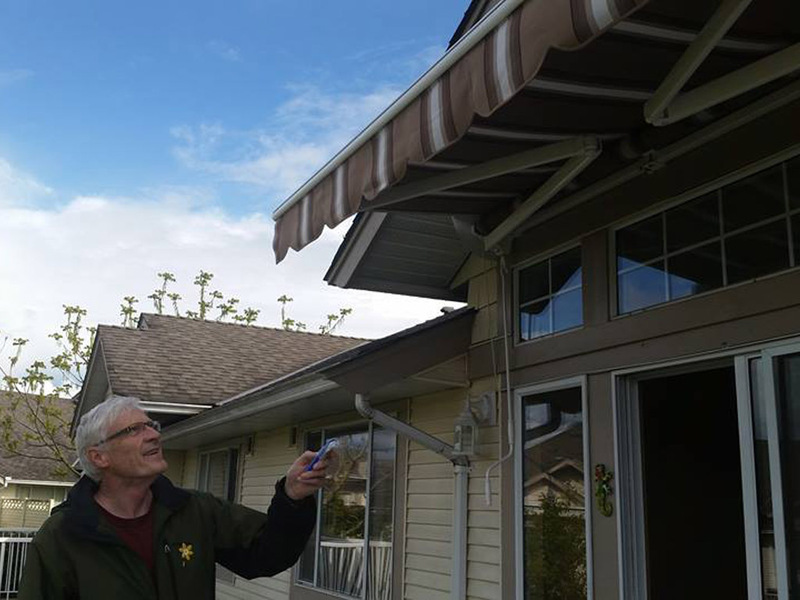 Thank you Bill Serfas for allowing Mr. Cover All to install this great looking custom awning on your home, texture black cassette with silica sesame fabric. We hope you and your family enjoy it for many years. 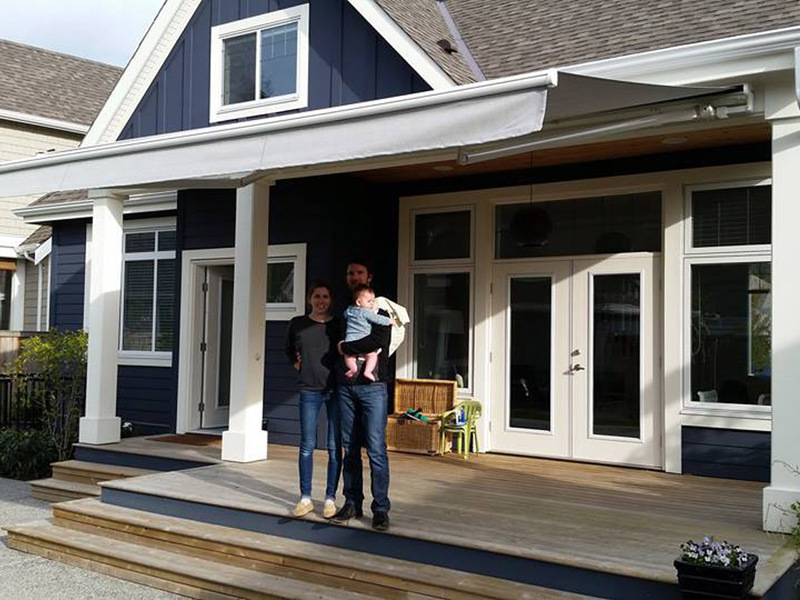 Our professional team built this custom 19′ metallic black awning with white Mainstreet fabric for an amazing custom home. 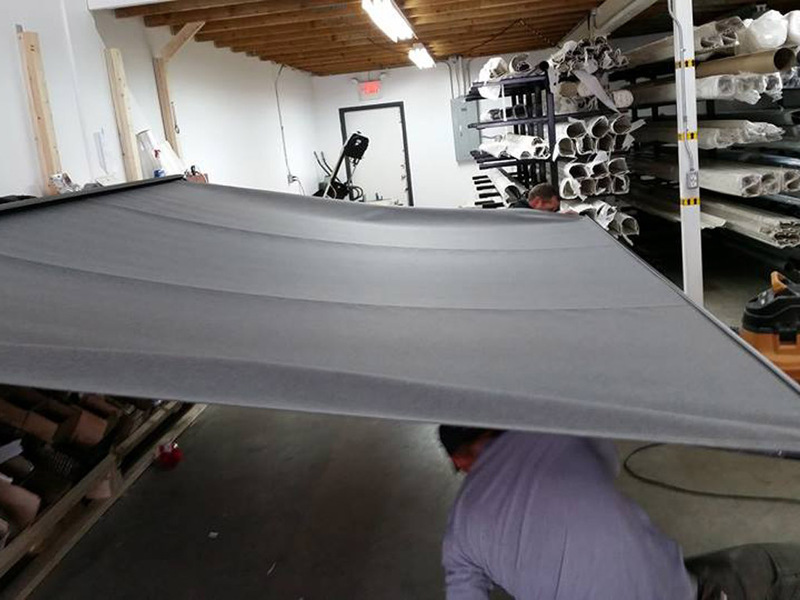 Choose the fabric that you want and we’ll make it for you! 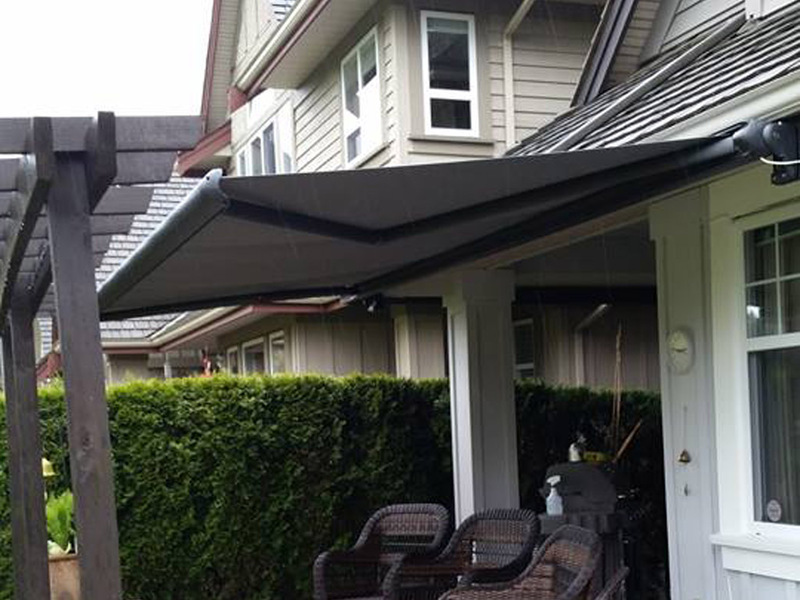 Our professional team built this custom 15′ metallic black awning with Unity Grey Sunbrella fabric for a Morgan Creek home. 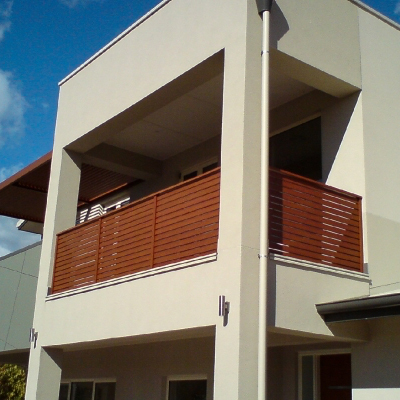 Mr. Cover All’s lead installer creates a mounting solution for this client and the result is a great looking extension of their living space. 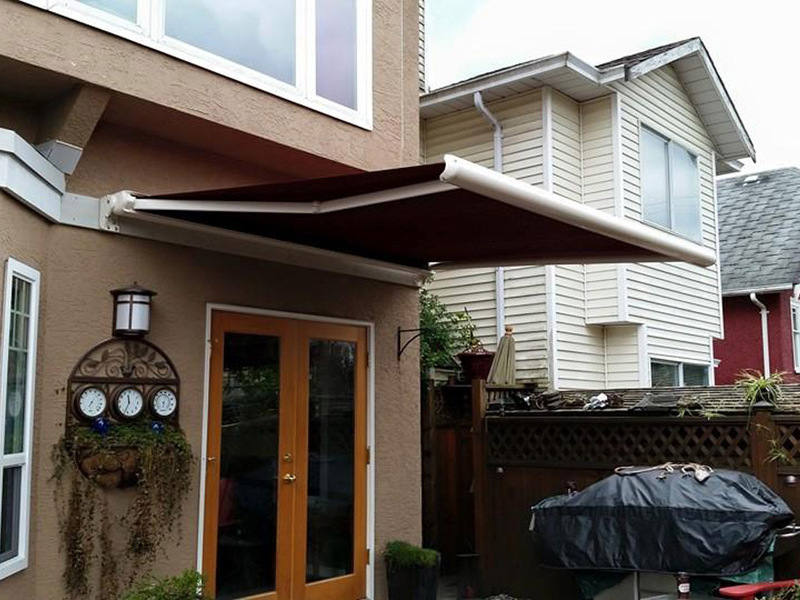 A home awning installation really adds visual flare to your home! 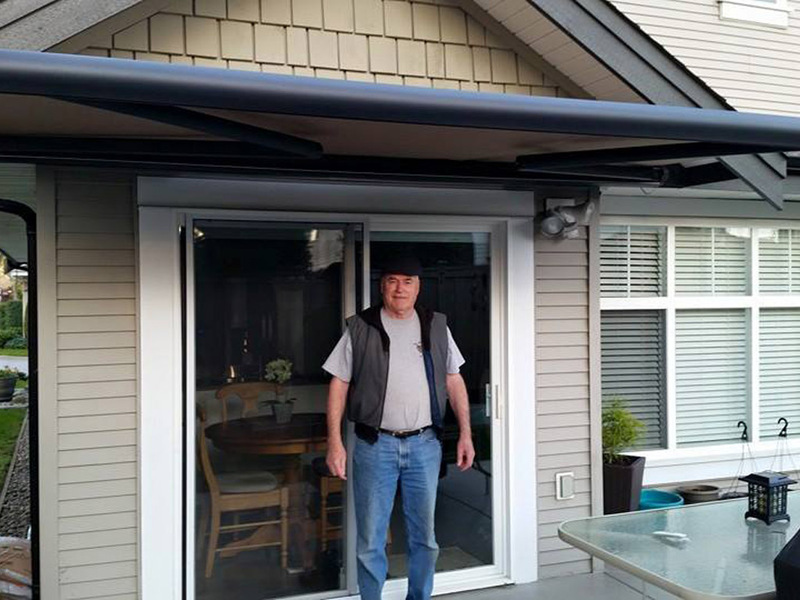 This homeowner loves the extra protection from rain, wind and excessive sun that he gets from his new Mr. Cover All awning. 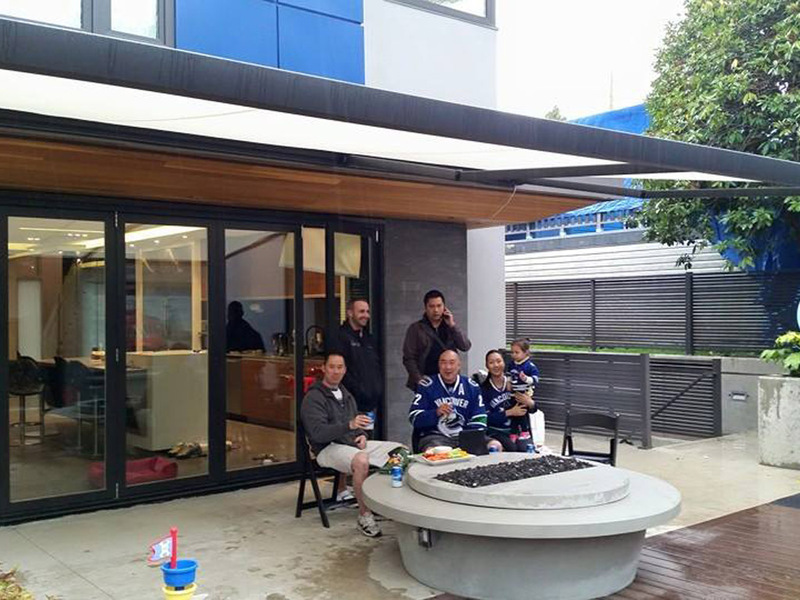 Chris Paul and his family enjoying the hockey game under their new custom black SunCircle 3400 awning with white Mainstreet fabric. 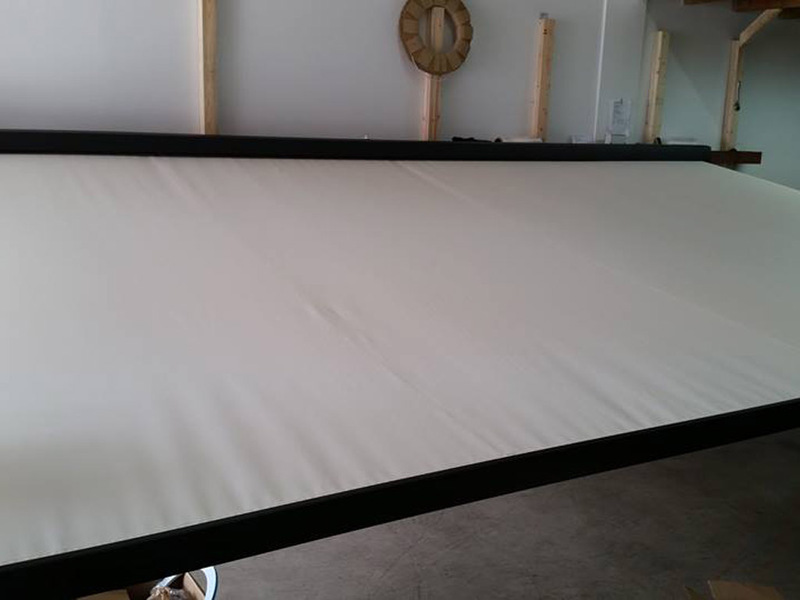 Another happy customer of Mr. Cover All.